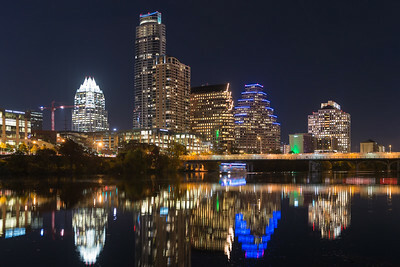 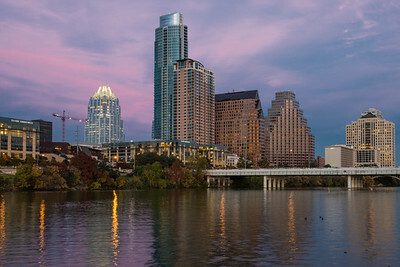 Some night images of Austin. 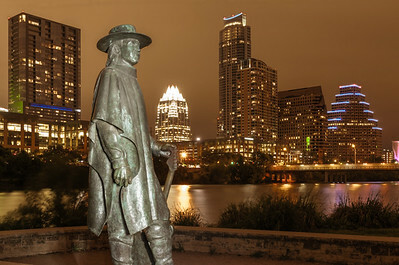 The statue in the foreground is of Stevie Ray Vaughn and was lighted with a flashlight during a long exposure. 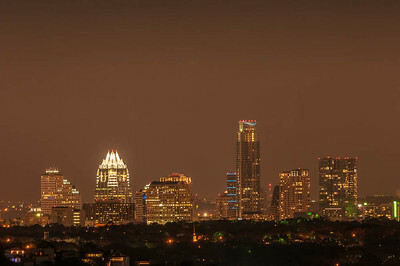 Downtown Austin night photo from Shepard Mountain several miles away. 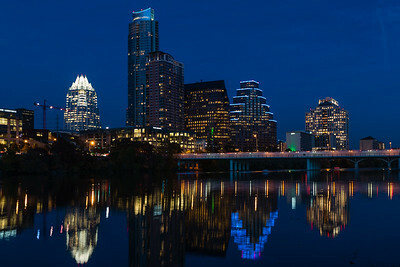 Downtown Austin with a statue of Stevie Ray Vaughn in the foreground. 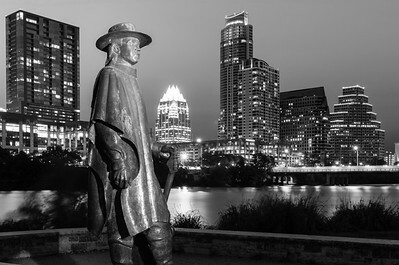 Downtown Austin B&W version with a statue of Stevie Ray Vaughn in the foreground.